Wickedleak's Wammy Titan 5[Initial Impressions] : This Device Is Here To Stay. Today if you're out to buy a new Smartphone, there are hundreds if not thousands of choices. So it is hard to pick a good smartphone that tackles everyone in the smartphone league providing upto date features, We couldn't say like this a year before since there weren't many choices left to pick from. So Smartphone manufacturers are always gambling to get that one or more, extra little renowned feature to stay ahead of the curve. If you speak about Indian smartphone manufacturers then a company that comes straight to your mind first is Micromax, isnt it? That's because they've been in this race from beginning & so are they good at engaging with international audience which includes marketing with Hugh Jackman & their partnership with Cyanogen resulting in YU televentures. Other companies which join that league are Karbonn, spice, lava, etc. 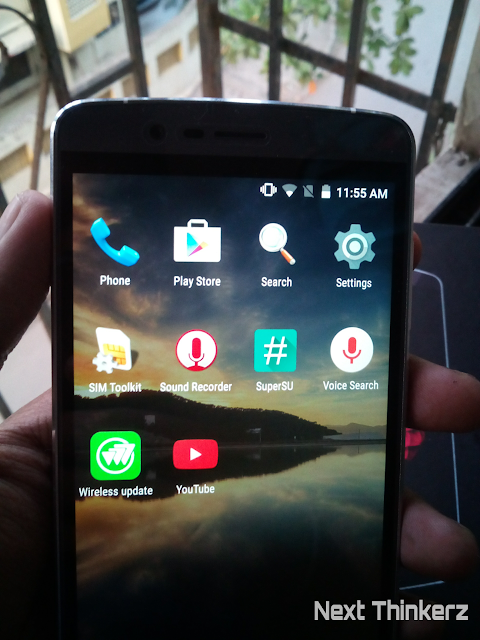 which certainly received a boost due to Google's Android One program. So if a local company enters in this tough battlefield, the respective company must offer something far better than others, right? Well that's exactly what Wickedleak is offering. Their latest device : Wammy Titan 5 completely dwarfs every Indian smartphone manufacturer in Specifications, Price & After sales support. 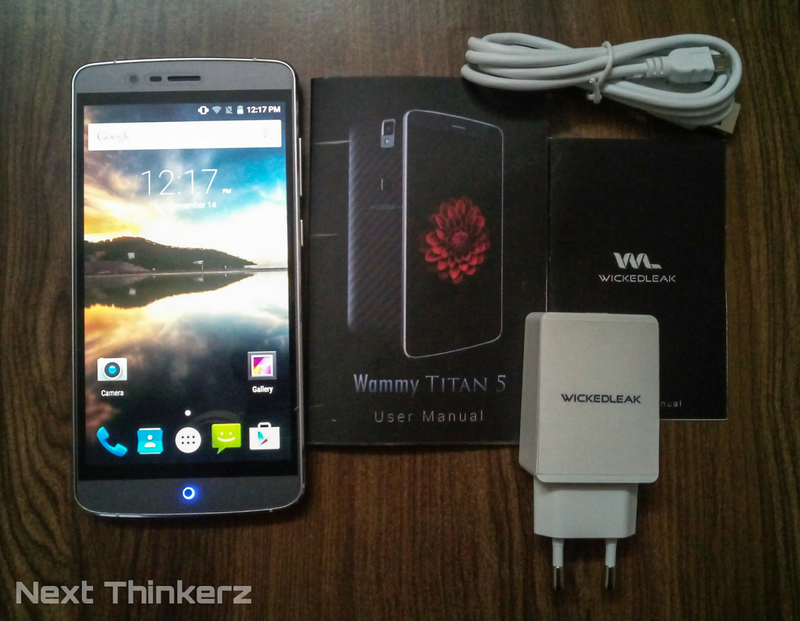 Let's find out more about Wammy Titan 5, the company's flagship offering at a non-flagship price. 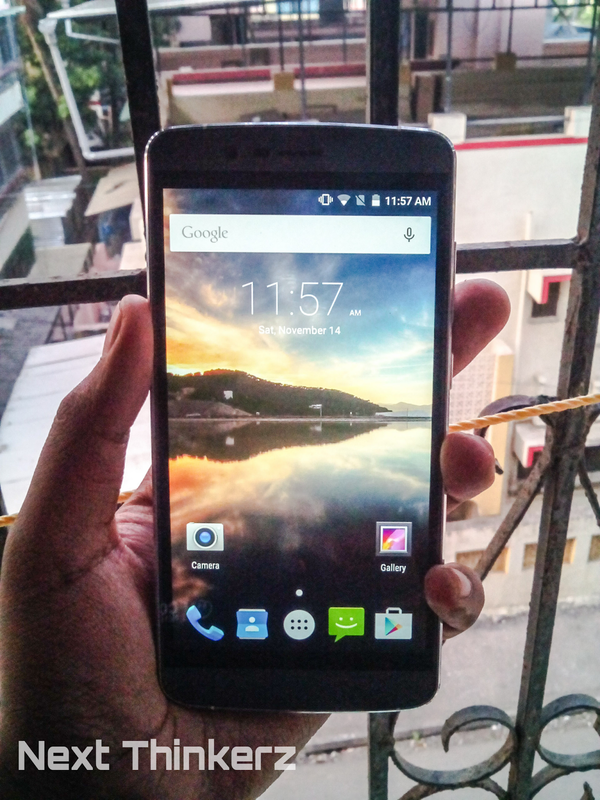 It has a 1.3GHz MediaTek(MT6753) Octacore processor with a 64 Bit Architecture. It is coupled with Mali-T720 GPU & 3GB DDR3 Ram. It sports a 5.5 inch full HD(1080x1920) IPS LCD display which gives it an overall pixel density of 401 ppi. Covering the display is the sheath of Corning Gorilla Glass 3 to add protection from accidental drops. Primary camera is a 13MP shooter equipped of a Samsung K3L2 CMOS sensor. It's capable of recording 1080p HD videos at 30fps, while the added Electronic Image Stabilization eliminates the sudden shaky moments. The camera sensor is 1.12micron pixel & has f/2.0 aperture(for better low light shots). It also has a LED flash. Secondary Camera on the other hand is a 5MP shooter capable of some decent selfies. It records videos in 480p SD resolution. It has a Fingerprint Scanner residing at the back panel below camera sensor. It recognizes your finger in 360° orientation, so no matter how you place that finger, it'll recognize and unlock the device. Quicknote : Multiple Fingerprints can be added. Wammy Titan 5 has 16GB of Internal storage, while it can be expanded upto 128GB via microSD card slot. Quick Thought: Expandability is what most manufacturers are forgiving for the sake of Cloud storage. Good for you, Wickedleak! The device comes with a massive 4165mAh Li Polymer Non-Removable Battery. It also gimmicks the fast charging support that many companies offer. 60% in 60mins is what they offer calling it 'Fast Charging', well you might laugh at this but considering the huge battery this can be called a fast charging device, since a 2A charger is provided. Though this doesn't make it what's called 'Fast charging' kind off what Qualcomm offers with its quick charge 2.0/3.0 I'll test this out in my full review. It has WiFi 802.11 a/b/g/n & includes usual sensors like A-GPS, Proximity, accelerometer, etc. Wammy titan 5 comes in Gold, White-Silver & Dark Gray-Silver colour models. Lastly, Amazing after sales support or atleast they claim about that (explained below). Wammy Titan 5 is made from high grade metal Aluminium alloy resting on the edges as chassis. Wickedleak says it's the strongest alloy they've ever used on their smartphone. Well the front as we saw is covered with Gorilla Glass 3 to prevent the device from minor scuffs & those pocket slides/drops. Though the plastic back panel is removable, the battery is sealed-in. It's a dual sim device(4G) & the slots for SD card/sim are placed within the back panel. Apart from that, fingerprint sensor makes it's way towards the back panel, which is a convenient place to rest our index finger, without doing some wonky action to access the sensor as the competition does. Best part is that this sensor recognizes your finger even if you place it in any direction. Fun Fact: If you're reading this on your smartphone your index finger is already lying at the back. So that's a smart choice, kind of what Nexus Imprint does on Nexus 6P & 5X. I'll thoroughly test this in my full review. The mediatek processor on-board is built on Cortex A53 cores, while it's a 64-bit processor which means that normal cpu tasks will be performed at smoother frame rates & initially the device feels faster. Wickedleak says that this chipset improves the performance upto 70% compared to earlier chipsets. It's good to see that wickedleak headed with MT6753 processor instead of going with snapdragon 615 chip which heats alot. If something goes wrong with your device, simply contact customer care & you'll get the solution for your device without going anywhere. They provide doorstep Pick-up & Drop service for free, whereas they owe 3000+ locations in India & don't worry even if problem rises at anytime in future you can happily contact them, as this service is offered for lifetime. You can return the device within 7days which comes under their TrustPay policy(Money Back Guarantee) only if any hardware problem persists. You also get a free screen replacement, incase you shattered the device's glass accidentally. Spoiler: This offer can be redeemed only Once & within 6 months of your purchase. Though if you bought this device under any discount/coupon, then you won't receive this free treatment. Fun Fact : Wickedleak as a name initially feels like some sort of organization like evleaks, wikileaks. But it isn't, Wickedleak is a company that creates Android Smartphones & Tablets, Windows Tablets with the inclusion of device related accessories. Ohh & each of their device name starts with Wammy as a patronymic. So at initial impressions this device feels quite nice in hands & it does follow the footprints of a flagship device. One of the good things is that the Software on-board is bloatware free infact it's almost stock Android, which is awesome & on top of that superSU comes in-built which headlines the possibilities of this device to a whole another level, as rooting joins the alliance of geeks. It wouldn't be wrong to say that, Cheap phones are getting good & Good phones are getting cheap. This device could really go toe to toe with recently released Canvas 5 & Oneplus X. But the full review will only let us know the what's the real deal. Until then follow me on my social channels to be the first to know about this device which will be dropping tomorrow. Although I still wonder, why is this device not available on flipkart/amazon/snapdeal for sale, strange! This device has the potential to stand there. What a phone to be honest! Amazing rear cam, amazing ram. The best thing is its battery life. Really impressed with 4000Mah battery, lasts longer than any other phone i ever used. Yeah Everything so far has amazed me, the battery life was breeze! Only the camera was passable quality. Really impressed with the rear cam, the picture quality is as good as that of an iphone. The main thing about the phone is its battery life. Reminded me of old nokia days when your phone could survive for 2 straight days without charging. Nokia/battery agreed haha :-) But camera was a bit passable quality, if you manage to focus properly you get some quality shots. Do checkout the full review live right now! Amazing specifications like octa core processor and 3GB RAM, long battery backup and 4G connectivity at such low price. It is well design and eye pleasing also. Excellent mobile phone to buy at this price. Exactly, do checkout the review live on the site! Whoa! Whoa! Whoa! Wammy Titan 5 looks so Classy and Sleek! Loved the look and the specifications are worth drooling! :D 3GB RAM, 16GB internal memory, expandable memory with microSD gives amazing space to store all pics, Apps and Games. 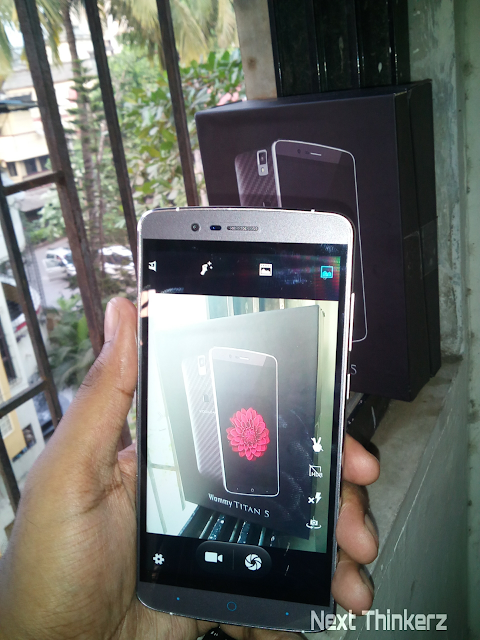 With 5MP front-facing camera this is a steal for selfie lover likes me! Fingerprint Scanner is a great feature. Loving it! Haha isn't it ;) ? Check the full review to get a better perspective. Woah, i just checked that & it's similar to Elephone P8000 Too. Really great battery life. This is the kind of phone i was looking for since a long time. 3GB RAM along with 128GB expandable storage space plus 4165 mAh battery, makes it the perfect phone you can get for 15k. Highly Recommended! I totally agree with all the things written above. The battery is just amazing and yes once i got stuck somewhere in the phone and customer care did assist me. Such a great service. The article is very well written and completely explains the phone. Bought this phone for my mom and I must say that Titan5 is nothing like a lousy smartphone with cheap hardware. As the name suggest it totally performs like a Titan. Gaming with this phone is like wondrous. With the whiz-bang hardware that the phone possesses, I'd no doubt what the phone had to offer in the first place. With the massive battery life of 4165mAh the phone dominates like a boss. I am not much of a shutterbug but the camera is still cooler than my MotoG2. Glad you liked it, keep coming for more & Check the final review. I was so much exited to get this phone for the featured it had at such a great price. But as I received the phone and I use it for just one day I experience hell a lot of problem. With in few minutes of starting the phone i realized that the OS is jearky, its not smooth. My 2 n half years old phone is smoother compared to this one. Started installing the apps using wifi. with in 15mins the fone started warming up on the back side where the camera is. In half an hr the whole top portion of the phone, both front and back side, started heating up. I requested the customer care to replace the product the next day after receiving it . I mailed them, i called them many times, i had a chat with them many a times in their live chat, but every time they say only one sentense "our customer support will contact u soon".. if u insist they will say "they will contact u in half an hour"...u dont receive anythng from them. no support no response no service.. pretty disappointed. Friends make a wise choice before u buy anythng from this company. Dont commit the same mistake i did. I not only just a dissatisfied person, But extremely dissatisfied with the way they deal with there customer. There only aim is to get money and money. This is completely third grade China mobile with totally fake hardware with the issues I am experiencing with the new phone. Whatever the good review you find in all sites are only the family members and staff of this company. Just ask them to give some customers numblers just to cross check the quality of mobile who where satisfied by buying there product in your city, the customer care person replies that sir it's against there companies policy to pass the details of any of there customer's as they will disturb by receiving calls. I request every one to save innocent people from buying this mobile and save there hard earned money. Following are the Reasons of my dissatisfaction. 3. Battery is also dying about 10% in every one hour. 4. Camera giving bad picture quality both front and Back..
7. The phone is heavyweight around more than 200+ grams which makes it uncomfortable to carry and use. and Still Many more problems there. This phone is not even worth of 1/3rd for which they charged.